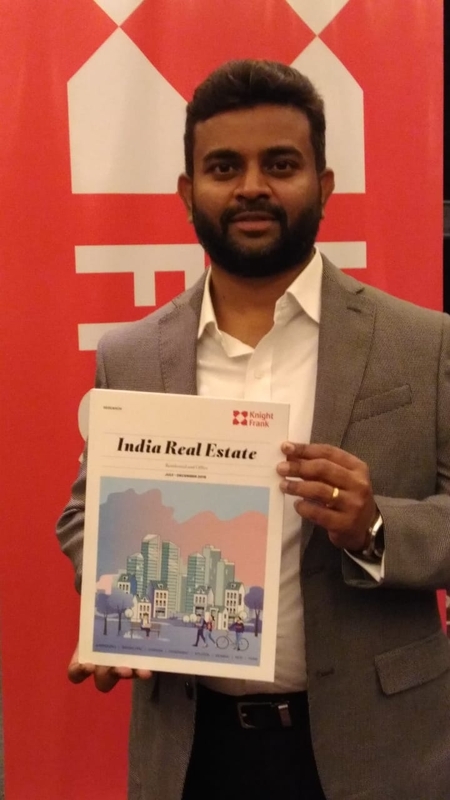 Knight Frank India today launched the tenth edition of its flagship half-yearly report - India Real Estate. The report presents a comprehensive analysis of the residential (across eight cities) and office (across seven cities) market performance for the period July – December 2018 (H2 2017). The report has established 2018 to be historically best performing year for the commercial office with leasing crossing 46 million square feet (msf). For the residential market saw some upward movement in sales velocity but stopped short of being a year of recovery. Total sales of residential units were estimated to be 242,328 units registering a 6% increase over full year 2017. Knight Frank LLP is the leading independent global property consultancy. Headquartered in London, Knight Frank has more than 18,170 people operating from over 523 offices across 60 markets. These figures include Newmark Grubb Knight Frank in the Americas, and Douglas Elliman Fine Homes in the USA. The Group advises clients ranging from individual owners and buyers to major developers, investors and corporate tenants. For further information about the Company, please visit www.knightfrank.com.